Become a marine scientist for a week! Take part in the Baltic Sea Science Camp 2010 on board of the sailing ship LOVIS! 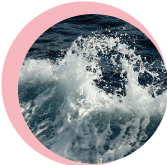 Explore how marine scientists trace harmful substances in the sea! Learn how oceanographers can find North Sea waters even in the middle of the Baltic Sea, and design a research strategy for answering open questions in marine science! Are you interested in science? Do you love the sea? Then get to know what marine science is all about! 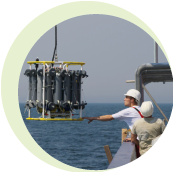 Experience how it feels to work on the sea in an international team, taking samples and analysing them, and trying to find answers to relevant questions. Apply for the Baltic Sea Science Camp 2010 on board of the sailing ship LOVIS! This 10-days' research cruise will bring together young science freaks from Sweden, Denmark, Lithuania, Poland, and Germany - all in all a group of up to 20 students accompanied by marine scientists and five teachers. Working language on board will be English. Successful applicants will be granted a full scholarship so that the science camp 2010 is free of costs. Location: on board of the sailing ship LOVIS, sailing from Greifswald, Germany, around the island of Rügen to Rostock, Germany. For more information about the sailing boat LOVIS, tick here: www.lovis.de. Send all the documents to the contact address offered below before 15th July 2010! If you are a school teacher from one of the countries listed above, who teaches science classes at secondary schools, and if you are skilled in English and willing to work in an international group, your application is highly appreciated! Please, fill in the teachers' application form, and send it in before 15th July 2010!